Mentored by Andrea Romano, Sirena began voice directing in Sept, 2017, working on multiple series that have yet to drop. Stay tuned for news! Teaser: She's credited as "additional director" on Voltron and The Adventures of Puss in Boots. 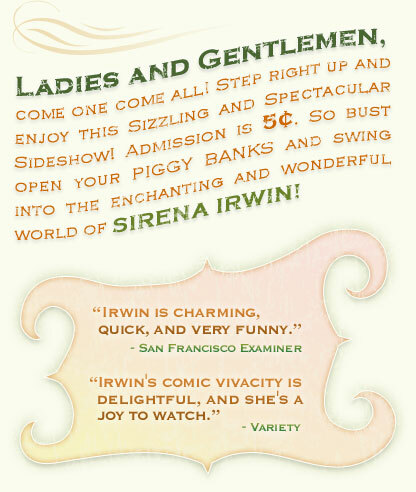 The LA Times says " Irwin... sure feels like the hilarious real deal." Hear Sirena as both Mera and Lois Lane on WB's show! Hear Sirena on Nickelodeon's "Spongebob Squarepants!"